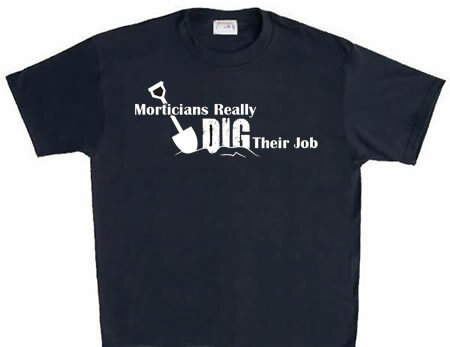 This tshirt is alot of fun for all you morticians out there! We know you DIG your job. Now you can let everyone know!